A place without equality is a place called nothing. I hate it so much when I end up on a place where gender is never equal, but I hate it more when it comes down to race. I'm always against racism and favoritism. Racism is the biggest cause of bullying, bullying that later on converts to crime, crimes which leads to chaos from order. If you research more about bullying, you'll end up reading articles that those bullies yesterday are the criminals today. They exercised power and learned how to make shortcuts for themselves. I can't say that Bloodivores anime is a good example of racism but I can firstly tell base on the plot of the story how the humans hates the vampires on their community. That is my first impression though but not long after I started reading the webcomic online. I thought that the story itself is not worth watching but I was wrong. Yes, the anime's transition is kinda confusing and annoying at the same time but not the original content. Would the anime adaptation of Space-Time Prisoner gets a second season? Well, to be honest I don't think that it has a lot of support from the anime fans. I don't like the anime adaptation but I don't hate it either. I just wished that it had a better adaptation so that more fans behind the anime screens would understand, love and enjoy watching it. This is my personal opinion though but I wish it gets season two. Joining a varsity team is like joining an army. You train, you build yourself, you get disciplined, you get better, and many more benefits but even though you obtain enormous amount of incentive you can still get injured or be broken while being in a varsity team. There are always risk on every happiness but you shouldn't let it sink you down the drain like Sumiaki Iwashimizu. The bitterness and burden would make you fall always and regret everything especially if you're the cause of someone's injury and failure of your team. Coming from a manga series, I thought that the story would flow like Eyeshield 21's but I was wrong. I never read the original manga of All Out!! The series was a recommendation from my sports-anime enthusiast friends and to be honest I like it and as time and time again sports genre anime will always teach us and alleviate us when it comes to hope and never give up. Also, as a sport (rugby) very popular in Italy, All Out!! is an exclusive video on demand on their community. My hopes are high on this one. 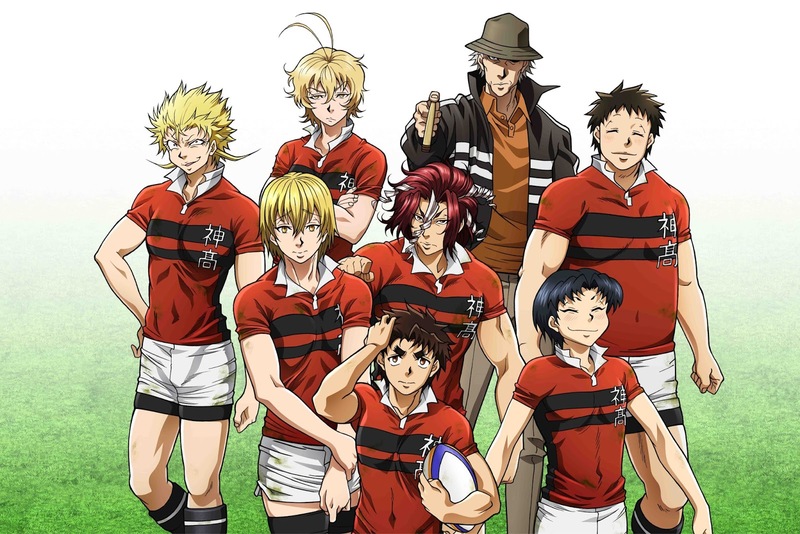 As the first rugby-themed anime, I'm pretty sure that fans around the globe who loves the same sports would support this series to keep on running. I never read the manga like I said but maybe I should after posting this blog post. More sports would be animated soon, more sports manga adapted into anime. Slamdunk, One Outs, Haikyuu, Eye Shield 21, Kuroko no Basket, Diamond no Ace, more sports genre anime would come because everyone could relate from it, in some way sports anime tend to reflect every person's life. When you rule a land, a state, an empire or what ever it is, you will always look after your subjects. Subjects who tend to make trouble for your own. It's not easy, even by just leading a group of classmates for a school activity, sometimes you'll get grouped with lazy classmates who loves to leech grades from you. Then imagine being a monarch. A King, a Queen, a Regent, a big burden and responsibility to those who sits at the throne. I do understand Yuinshiel Asteria's feeling and how big it is not to turn in Rena to those who makes big threats to her country. If you can't save one person under your own ruling then you can't save everyone surrounding you, even if it's for the better of many. Upon the postponement of Regalia: The Three Sacred Stars, a lot have been discussing that the show is not yet ready for the anime scene. For me, it was. 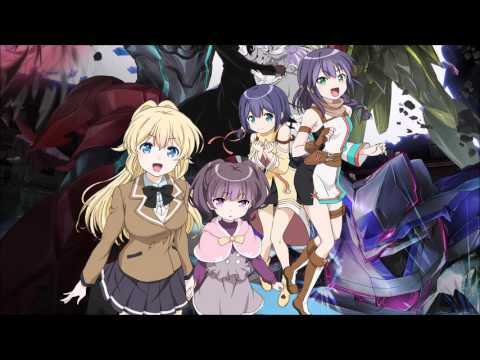 The story was very confusing for me at first, I even have to play back some scenes on previous episodes just to understand the flow of the plot and where it is going. If I were to review and give a score to the episodes aired before the postponement I would give the show a 7 because I know there's more onto it. That's the reason why the producers had the show cancelled for a while. Some factors were missing on the first four episodes of the show. Regalia: The Three Sacred Stars for a season 2? I don't know. I hope that it gets another one shot. The show went back on track with some great adjustment. This makes me feel that the "big guys" behind the anime scene that we love and caress don't just make money out of it. They also give effort and listen to the feedback of fans as the fans gives credit and funds to their shows. They postponed it and make it back live with better content. Hopefully, this one gets a second season. Life it the most precious thing we have right now. It's the reason why you're reading this blogpost. It is also the reason why you managed to watch Planetarian: The Reverie of a Little Planet. We all know that we should value life and make the best care with it because without it we are nothing, we don't exist but even though majority of us (humans) tend to make good care of our lives some just don't care. Some just want to rule over, wants someone to suffer or even end others lives. With just a bomb or any superpower weapon, our race could go extinct. 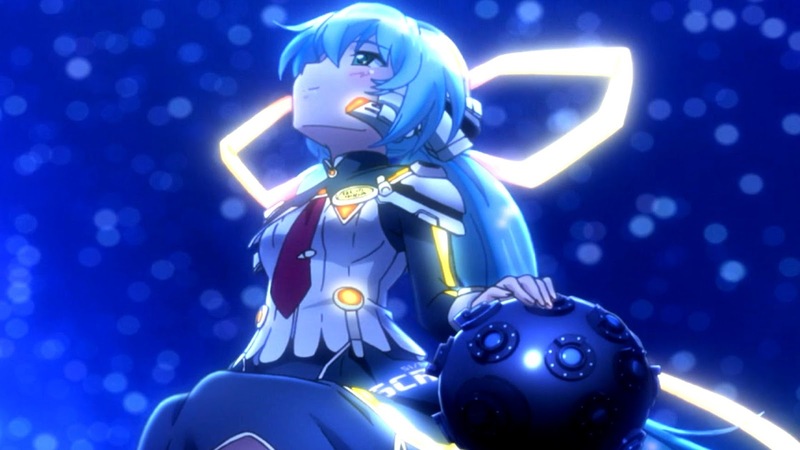 Planetarian series isn't just an Original Net Animation for me, but a bittersweet series with an on-point realistic shot. Things like this (post-apocalyptic setting) could happen maybe tomorrow, next month, we dunno when. I want to get through the plot of this anime but I think I shouldn't because we all know the real target of the content. It is our heart. This anime made me bitter while watching it, I haven't checked the visual novel yet but I'm pretty sure that I will have more cracks and heartaches if I try to. Definitely one of the anime that I would recommend to my students if ever they ask me something to watch that is one of a kind. Planetarian: Chiisana Hoshi no Yume for a second season? 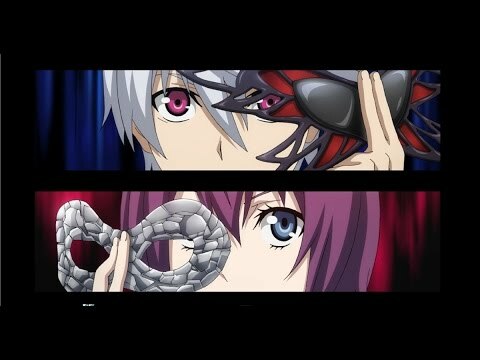 Hmmm, I don't know yet but if you watched all the five episodes then you should buy the movie of it. Planetarian: Hoshi no Hito is a must watch movie a very good sequel for Yumemi's wish. Do you still remember her wish? I hope you still do though.